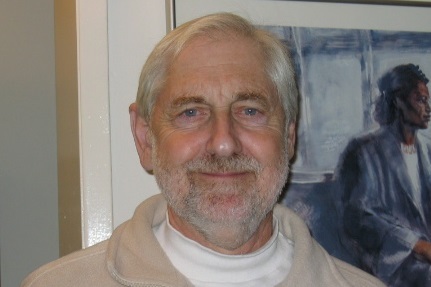 Paul Von Blum is Senior Lecturer in African American Studies and Communication Studies at UCLA. He has taught at the University of California since 1968, serving 11 years at UC Berkeley before arriving at UCLA in 1980. He is the author of six books and numerous articles on art, culture, education, and politics. His most recent book is “A Life at the Margins: Keeping the Political Vision,” his 2011 memoir that chronicles almost 50 years of political activism, starting with his civil rights work in the South and elsewhere in the early 1960s. He is the author of three books on art and society as well as numerous articles on art, politics, culture, education and law including "Resistance Art in Los Angeles," Unmasking L.A.: Third Worlds and the City. "Decades of Dignity: The Art of William Pajaud," The Sights and Sounds of My New Orleans, in conjuntion with an art exhibition of the same name at the California African American Museum, Los Angeles, curated by Samella Lewis, "Not as Strange as it Seems: Bioethics and Art," Bioethics: Thresholds of Corporeal Completeness, in conjunction with an art exhibit of the same name at Side Street Projects, Santa Monica, California, Side Street Press. His book "Resistance, Dignity and Pride: African American art in Los Angeles" was published by the UCLA Center for African American Studies.